With daily maximum temperatures poised to soar above 35 deg C, beat the heat with The Straits Times Food Online this week. Here are two recipes - with accompanying videos - to cool down with. 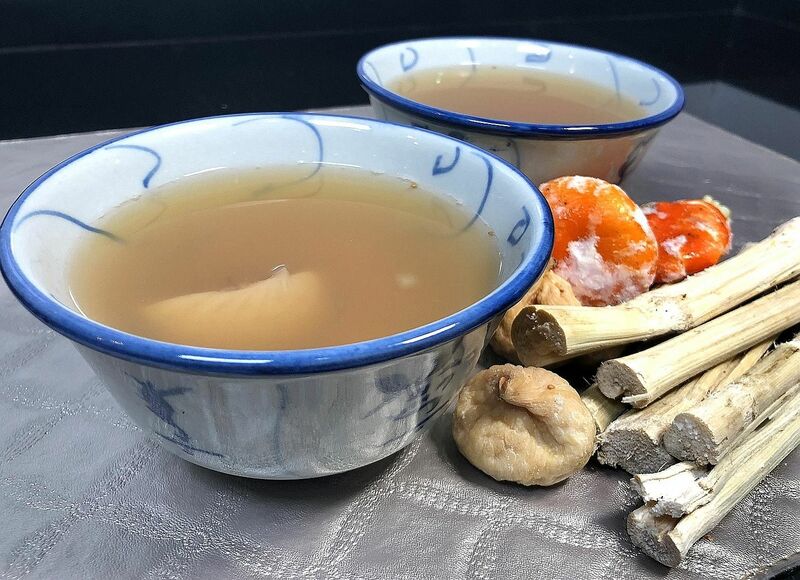 Try making a soothing Chinese Pear and Snow Fungus Soup or a tasty brew of Sugar Cane Herbal Tea using dried sugar cane. • Go to straitstimesfood.com for recipes, news on latest food trends and more. Follow our social media accounts on Instagram and Facebook @straitstimesfood. 1. 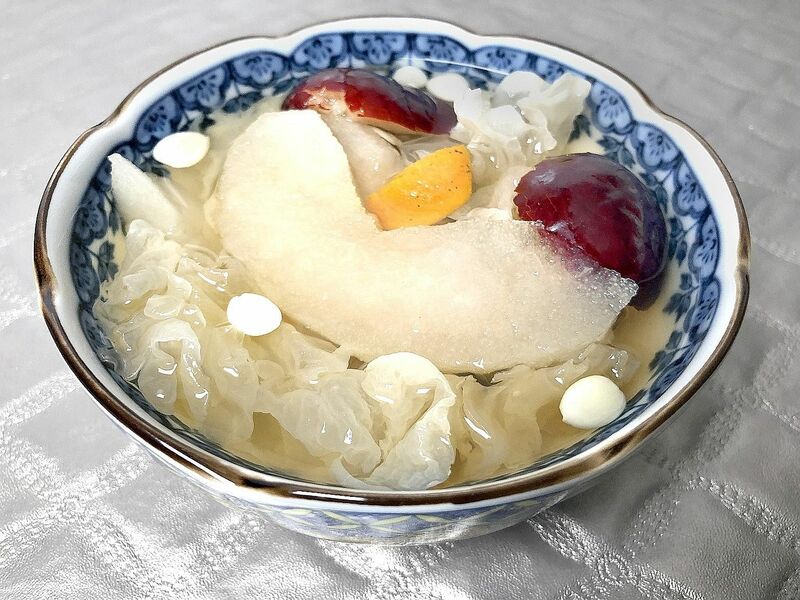 Soak the snow fungus for at least 30 minutes. It should be fully immersed in water. Soak it overnight if you prefer it softer in texture when cooked. Use a pair of scissors to remove the tough stem endings. 4. Pour the water and all the ingredients into a pot. 5. For stove-top cooking, bring to a boil, then turn the heat down to low and simmer for 1hr 30min. If using a slow cooker, turn the heat to high and boil for two hours. 6. Optional: If you prefer the soup to be sweet, add 20g of honey rock sugar. 2. Fill a pot with 3 litres of water and add all the ingredients. 3. Cover and bring to a boil. Once the water comes to a boil, turn the heat down to low. 4. Simmer for 45 minutes, then turn off the heat. 5. Allow the mixture to cool. Strain and serve.